Rodd Wagner is the New York Times bestselling author of the book Widgets: The 12 New Rules for Managing Your Employees As If They’re Real People, published by McGraw-Hill (April 2015). He is one of the foremost authorities on employee engagement and collaboration. Wagner’s books, speeches, and thought leadership focus on how human nature affects business strategy. He currently serves as vice president of employee engagement strategy at BI Worldwide. He is a confidential advisor to senior executives on the best ways to increase their personal effectiveness and their organizations’ performance. His work has taken him around the world, to the executive suites of major corporations in nearly every industry, to the Pentagon, and to the aircraft carrier USS Nimitz. 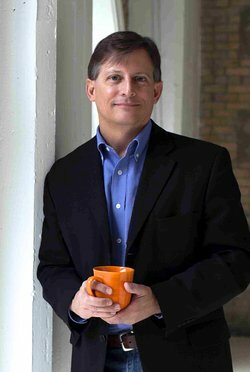 Rodd is lead author of two other books: 12: The Elements of Great Managing and Power of 2: How to Make the Most of Your Partnerships at Work and in Life. His books have been published in 10 languages and his work featured in The Wall Street Journal, ABC News Now, BusinessWeek.com, CNBC.com, and the National Post of Canada, and parodied in Dilbert. He holds an M.B.A. with honors from the University of Utah Graduate School of Business. He was formerly a principal of Gallup, the research director of the Portland Press Herald, and WGME-TV in Maine, a reporter and news editor for The Salt Lake Tribune, and a radio talk show host. When not writing or consulting, he enjoys fly-fishing, snowboarding, and coaching youth lacrosse. Morris: Before discussing Widgets, a few general questions. First, who has had the greatest influence on your personal growth? How so? Wagner: My daughter and two sons. There is no better laboratory for understanding how one does or does not influence other people than, over two decades, trying to turn a few toddlers into people a company would hire. Wagner: While I loved being a newspaper reporter, I became disillusioned with the way The Salt Lake Tribune was being managed in the late ‘80s. I decided there had to be a better way to run a newspaper, but I did not have the knowledge or credentials to be part of that solution. I went to graduate business school while working full-time as a police reporter on the night shift. It was two years of sleep deprivation and hard work. The pattern of simultaneously gathering facts, writing, and analyzing business patterns has pretty much held since then. Wagner: An M.B.A. from a rigorous program changes the way one sees the world. One learns to see the cost of materials, the efficiencies, the marketing strategy, the economies of scale, and the people factors in everything from the local coffee shop to the airplanes on which we all spend too much time. My journalism degree has proven invaluable to not just writing Widgets, but reporting and editorializing on the state of leadership and managing today. Wagner: Half the people who were running the place knew less about what needed to be done than I did. The other half knew a lot more than I did. Recognizing that earlier would have saved me a lot of time giving too much credence to the first half and not asking for more coaching from the second half. When I was in my early 20s, I had a naive belief that the people who were leading companies were, through the meritocracy of the marketplace, the people who should be leading them. Sometimes they are. Sometimes they most definitely are not. Wagner: Office Space. There are real versions of Milton Waddams in nearly every company out there. In real life, it’s not funny. Morris: From which non– business book have you learned the most valuable lessons about business? Please explain. Wagner: The Endurance, about the expedition led by Earnest Shackleton that is so frequently cited as a pattern for effective leadership under extreme pressure. The writing is gripping. The photos by expedition photographer Frank Hurley take you there. The combination is incredible. Wagner: It’s rare to find a person who will invest himself or herself in another’s success. These people make the best leaders and managers. Wagner: This is only true of ideas that are not dumb enough to die of natural causes. Wagner: This is certainly true in the social sciences. Most of the insights from the research in Widgets started with just that phrase. Wagner: I understand Drucker was not a fly-fisherman. Had he been one, he never would have said that. Wagner: I rarely put stock in the wisdom of crowds. No one can who has been in the business of analyzing TV viewing patterns. One man or woman who is obsessed with a particular discipline can create something unattainable by hundreds of people less personally invested in the quality of the thing. Morris: Here’s a brief excerpt from Paul Schoemaker’s latest book, Brilliant Mistakes: “The key question companies need to address is not ‘Should we make mistakes?’ but rather [begin italics] Which [end italics] mistakes should we make in order to test our deeply held assumptions? '” Your response? Wagner: The comment suggests a higher level of intentionality about mistakes than can exist. If one knew one was going to make certain mistakes, one would not make them. The editor who promoted me from reporter to being an editor told us, “I don’t care if you make mistakes. You will. I will only be upset if you were not thinking it through. If you were and it turned out differently than you intended, so be it.” That kind of attitude allows subordinates to work courageously. Wagner: I don’t see that. Too often, I find that they delegate the work of getting out among the employees to other people. We live in a time when top leadership is more prominent, more visible, than in generations before. I find myself more often telling CEOs to get in the field more often and to delegate less. Wagner: It’s evolutionary psychology. Our deep ancestors were largely illiterate. They told stories by the campfire. This is our wiring, regardless of all the technology that surrounds us. Wagner: Leaders lament the fact that employees are not willing to assume risks or work exceptionally hard for the company when the dangers are termination or little payoff for the subordinates. One overcomes the lack of endurance by mitigating the personal risks and ensuring the rewards are commensurate with the work. It’s really just that simple. A CEO with $4 million riding on a new initiative will not get a $70,000-per-year analyst to put her job on the line to help him earn that bonus. Wagner: I neither teach at those schools nor have I been in an M.B.A. program for quite a while, so the question is somewhat outside my jurisdiction. Nothing will replace knowing the basic financial principles that determine whether and how an organization makes money. The danger in M.B.A. programs, just as in Six Sigma or Lean Manufacturing, is when principles that apply perfectly to operations are copied and pasted onto what I was taught as “human resources management.” That part of my graduate training has been thoroughly refuted in the years since I earned my M.B.A.
Wagner: The CEO’s greatest challenge in the years ahead will be how to create a strong unwritten social contract with his or her employees in the absence of so many of the commitments companies used to make to those employees. One site is aimed at leaders and managers. Another site is aimed at employees. Both link to my blog and, most important, to the New Rules index self-assessment where employees can discover for free how their job stacks up against the jobs of people in the rest of the country.